There is a slowly emerging trend in chronic illness, very slowly emerging, but you can see elements of it here and there. I have referred to it before in books I’ve read like Richard Cohen’sBlindsided about his multiple sclerosis and his newest book, Strong at the Broken Places, that profiles people with a variety of chronic conditions. There’s Jill Sklar’s book, The Five Gifts of Illness about living with Crohn’s disease, and now my own book, The ABCs of Loving Yourself with Diabetes, featuring a new approach to living with diabetes. 1.To live with illness from a different perspective – that of using your illness as a catalyst to find greater joy, purpose and meaning in your life. 2. To see the patient as the central figure in managing his or her illness, rather than the health care provider (hcp), although hcps are essential for information, education, direction and advice. 3. The hcp acts as a coach to collaboratively, with the patient, create a treatment plan that really works for the patient. 4. Hcp and patient together examine the patient’s “life systems,” ie cultural mores, food preferences, family structure, support network, neighborhood advantages or limitations, work etc. in order to design a treatment plan that will work in that individual’s unique life. There’s an interesting article on a management blog that speaks to these points titled, “Why patients have to be doctors today” It’s worth a read. The article looks at diabetes in particular not so much as a medical condition, but from the point of a chronic condition that need to be managed by the patient. It is a bit lengthy, but don’t let that scare you, nor some of its “management-speak.” You will get an insightful view regarding what supports good diabetes management and what patients and the medical community are coming up with. I wonder what has tipped our gaze now to look at chronic illness through this prism of patient management and what can be gained from illness. I would imagine it’s because we have new medicines and procedures that allow us to live longer with illnesses that would have killed us decades ago. With someone getting diabetes every 10 seconds around the world there will only be many, many more individuals, and by virtue of that, also families living with chronic illness. What we need now is for our medical professionals to be trained in chronic care so that they can help patients better, and I’d want to say best, their quality of life within the parameters of their illness. Since doctors are trained in curable illness – diagnosing, medicating, cutting and curing, there is little in their toolbox to help those of us with life-long conditions. But I see some headway and as “Why patients have to be doctors today” points out, it is a movement starting on the ground with patients supporting and counseling each other as many from the inside report peer-coaching will be the next wave in chronic care. We see it evidenced already on the health and community web sites popping up every day, and programs like my own A1c Champion program, where I, merely as a fellow patient, deliver motivational diabetes presentations to diabetes patients. It is my hope that my contribution in diabetes will be to help people see that if you look at diabetes through a different lens, you can use it to create a bigger, more fulfilling, more meaningful and healthier life than you may even have had before. It would be nice to think the medical community is not too far behind me. 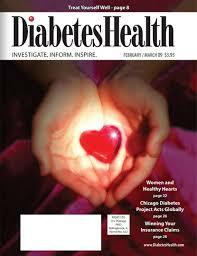 I write a monthly column for DiabetesHealth Magazine. It’s my personal opinions and experiences about living with diabetes. Of course Scott King, the publisher, likes to say it’s my, “rants and raves.” My articles also appear on their regular web site blasts. Yesterday their web blast featured an extremely understandable and easy reading article about the carb/fat debate, The “Fat-Free Fallacy:” Is It Obesity’s Great Enabler? I could condense the article here, but it’s better you read the whole thing. Don’t let the length of the article scare you, it reads fast. I will give you, however, my 3-bullet take away: 1) Glucose not used by the body is turned into fat by insulin, so unused carbs make you fatter than fat 2) Never skip your insulin, instead lower your carb intake. And, since you have to have three things in a list 3) The food pyramid will likely make you fatter since carbs form its foundation. You can take all this with a grain of salt, but I’d say pay more attention to the results you’re getting from your diet and then draw your own conclusions. Last night I celebrated Valentine’s Day with 26 women and sent my husband away for two hours. I was the guest speaker, as the author of my new book,The ABCs Of Loving Yourself With Diabetes,at a Divabetic support group meeting. Max Szadek, showman extraordinare and founder ofDivabetics, the group that’s quickly growing from a grass roots movement to a national phenomena, chided me that the evening was my book launch. Looking around the somewhat disheveled room at the McBurney YMCA I chided back, “So where’s the champagne?” But it was my launch. I was launching my philosophy about viewing our diabetes differently, positively, to a real-live group of people with diabetes. Divabetic, in its support group meetings, and now its national Divabetic “Makeover Your Diabetes”events sponsored by Novo Nordisk, brings diabetes education and empowerment to women, attracting them through things that make women feel good about themselves like make-up and hair styling, pedicures and tea tastings, with diabetes educators and coaches at the ready to answer their questions. You may think it crazy, but it gets women out, talking about their diabetes and smiling. Of course I took empowerment on a slightly different trajectory last night – we were going within. The ABCs Of Loving Yourself With Diabetes is about using your positive emotions to create a healthier and happier life. It’s pretty simple, really, if you focus on what you want and “rev up” your self-love, joy, courage and confidence, you’ll take the actions that will bring what you want into being, including greater health and happiness. Having greater health and happiness, you’ll perform your diabetes management tasks more easily, more regularly and more competently and confidently, with appreciation for how livable diabetes is, rather than being overwhelmed by anger and resentment. Conversely, traditional diabetes strategies try to motivate better management through negative emotions – we are meant to fear complications and feel guilty when our management is not very responsible. Focusing on the negative, however, does not create sustainable positive actions. It doesn’t make you feel very good either. So I’m saying focus on what you love – about yourself, about your life, be grateful for the things you have and the people you care about, appreciate your courage and all you do living with diabetes, see yourself as a “warrior” not a “worrier” and be kind, patient and forgiving with yourself when you’re not on your game. Know you’ll do better tomorrow. Here’s something else, if you look, you can also find deeper meaning and purpose in your life through diabetes, and life can turn out to be even more rewarding, fuller, richer, healthier and happier than it was before you got diabetes. Don’t get me wrong – I didn’t say I’d ask to have diabetes, I’m just saying since we’ve got it, better to find something good about it and get on with life. Sound crazy? I wondered before I presented this idea to my 26 Valentinas last night. In Divabetic tradition, we began by passing a pink boa around the circle and each person gets to glam a little while introducing herself. I asked everyone to say their name, how long they’ve had diabetes, something they love about themselves and one positive thing diabetes has given them. Half the women said, “appreciation or humility.” One woman having trouble seeing, as her eyes are faltering now from her diabetes, said she has so much more compassion for people who have no sight or have a disability. Another said humility knowing she could have something much worse than diabetes. Women who got diabetes young said it helped them learn to be strong and responsible. Many women said diabetes has helped them eat healthier or get regular exercise, and they were grateful for that. Some talked about the friendships they’d formed from the group. Many said they are helping family members with diabetes, which makes them feel worthy and valuable. Others said it just makes them more aware of life and not to take things for granted. It has heightened their senses. I was surprised how easily most of the women reported something positive they’ve gained from diabetes. 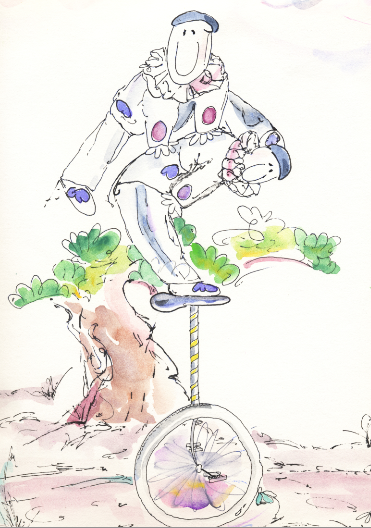 A few were stumped to come up with something, but no one was argumentative or thought I was full of sh_t – something I had wondered about before I began. Then I read aloud the text from the letter A in my book, A is for Appreciating All the Special Things You Are and Have. The group was quiet for a moment after I finished reading and then they applauded and murmured heart-felt messages of solidarity. 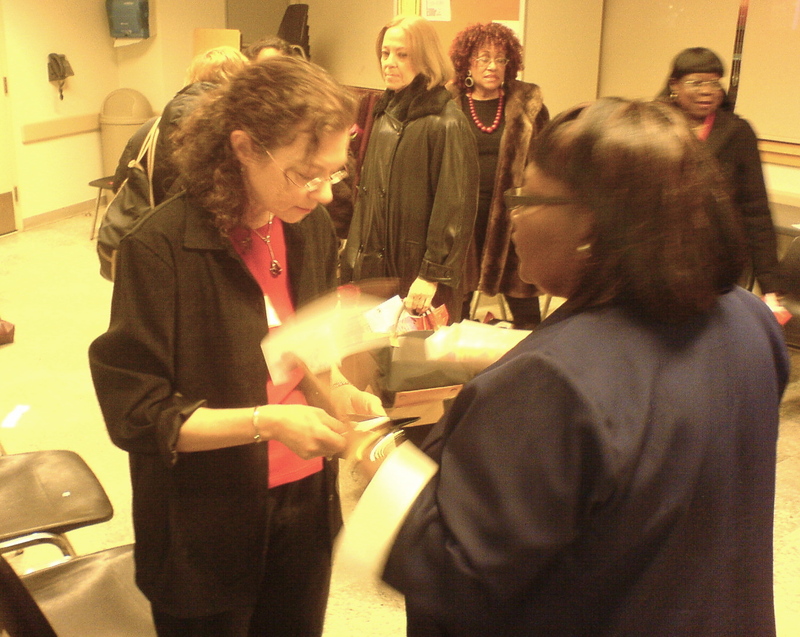 Then I read my personal message from the book, “To My Fellow Travelers” and several women, including me, were brimming with tears. A diabetes educator seated to my right and a health coach seated to my left both told me how wonderful, delightful and right-on the book is and how this message needs to get out there. A diabetes nurse came up to me at the end of the meeting asking if I will come and speak to her diabetes class about this. For decades many pharmas have been selling their products through fear, entrenched in the belief that that’s the best way to get patients motivated to take care of themselves, and use their meters and meds. Much of the medical profession has also been under the delusion that fear and guilt is motivational. How long have we heard, “You have to take care of your diabetes or you’ll lose a leg, go blind, have a heart attack!” But this focus on doom and gloom many doctors and pharmas have used has not inspired better management, we know that statistically, but it has increased denial and depression among the diabetic population. Now instead, imagine the approach to diabetes management was to have you focus on a picture of the life you want to live and believe you could have it. Imagine hearing that you should treat yourself with kindness and forgiveness when you have an off day, and that you are strong and capable enough to do better as you learn and practice. Imagine that you are encouraged to live the biggest life you can dream, that you deserve it and that you can have it with proper care. Wouldn’t you move heaven and earth to stay healthy?! You bet you would! The belief that patients can live a happy and healthy life is far more motivating and would sell far more meters and meds than the fear of complications, because we’d do everything to bring our desired life into creation. Moving toward what you want has proven to yield more success and be more empowering than avoiding what you don’t want. Excited, hopeful patients would actually use their meters and meds. Hmmm..that means companies would be selling more meters and meds. Sounds like a win/win to me. You can see a modified version of this attitude is actually being adopted by Bayer and Novo Nordisk. Bayer’s latest round of TV commercials has a more upbeat tone. Novo Nordisk, the world leader in diabetes care, launched an initiative in 2005 called, “changing diabetes,” where they’re bringing together innovators in diabetes education, treatment, reimbursement and policy to shift attitudes and change the way patients and health care professionals think about diabetes. Hallelujah! A beginning. It’s time to take that message to every medical professional’s office and every patient: focus on the best vision of your life, energize your positive emotions and you will create more health and happiness – and better diabetes management. Why? Simple, you will see better management as the foundation that supports that fantastic life. And here’s a second message: Sometimes diabetes is a pain in the neck, frustrating as heck and you wish you didn’t have it. I know. But here’s what’s also true, if you really look, you can likely find something positive you’ve gotten from diabetes. The two are not mutually exclusive. Both can co-exist. So doesn’t it make sense to find something positive about having diabetes since it’s not going away anytime soon? I have also never forgotten what the actor Jim Carrey did when he first got to Hollywood. He drove up into the Hollywood Hills and looked out over the blazing lights of Hollywood and visualized a check made out to him for $20,000,000 for making a movie. Ten years later it happened. I believe last night was a mini demonstration of what’s to come. And it will start where diabetes lives, in us, not in the white coated offices or pristine HQ campuses. So business and healthcare think the way they think, but on the ground, those of us living with diabetes are ready for change. Hmm… sounds like my political stump speech. Last night, on Valentine’s Day, I celebrated loving yourself with 26 women. It was one of the best Valentine’s Day presents I’ve ever been given. Thank you Max. March 3rd Oprah’s launching the biggest book club ever on her web site – it’s global and they’ll be reading a book I read two years ago and was so taken with when I lifted it up off my friend’s coffee table in Scottdale, that she had to gift it to me. Which she did. Since the world is beginning to pick it up, I dipped in again last night. 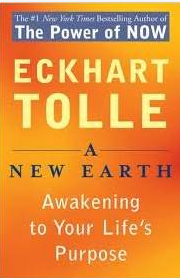 The book is A New Earth- Awakening to Your Life’s Purpose by Eckhart Tolle. A new earth is about detaching from your ego and waking up to your inner consciousness. When you come from your inner spirit, not your ego, you will be an instrument for positive change in the world, so says Tolle. This is the act of leaving your identification of yourself as your ego behind; residing in the consciousness that you truly are, whose purpose is to create good, both in your life and the world, and can do so supremely better than our small, defensive, judgmental egos. Paraphrasing what Tolle goes on to say here’s the message — When there is nothing to identity with anymore, who are you? Your sense of “I am” is freed from being tangled up with concrete forms. You realize your essential being, your true self, is consciousness itself. Not everyone reacts to loss with this realization. Some create a strong mental image (thought form) seeing themselves as a victim, whether of circumstances other people or fate. This thought form of themselves creates anger, resentment, self-pity, and they strongly identify with it. The ego then identifies with this new form. The fact that this form is a deeply unhappy one, doesn’t concern the ego much. As long as the ego has an identity it is happy. Whenever tragic loss occurs, you either resist it or you yield to it. Some people become bitter and deeply resentful, others become compassionate, wise and loving. Yielding means you are accepting what is and you are open to life. If you take action from resistance and negativity you will create more resistance and negativity in your life; life will not be helpful. When the shutters are closed the sunlight cannot come in so to speak. However, when you yield, when you surrender, a new dimension of consciousness opens. If action is necessary, yours will be in alignment with the greater good and supported by creative intelligence. Circumstances and people become helpful and cooperative. Positive coincidences happen. If no action is necessary, you rest in peace and inner stillness. You rest in God. Tolle is a great spiritual teacher and I am an avid believer. It’s always been my message that we should try to see our diabetes as a loss that can lead to greater positive determination, empathy, compassion, appreciation and quality of life. Yield and find your strength, power and ability to transform yourself, your life and the world for greater good. I’m with you Tolle. I’m with you Oprah. Diabetes Resolutions – is it time to get fired up again? O.K., time to take stock. As for New Year’s resolutions, if you’ve already given up on your resolutions you’re among the greater 64% who have too. How about your diabetes resolutions? Did you make any? If so, you may well have given up on those too, or nearly. Change is hard! I don’t make resolutions of any sort because if I’m really committed to doing something, I don’t have to make a declaration about it, and if I’m not committed it won’t get done whether I say it will or not. So what gets in the way? The experts say stress, mood swings and boredom are largely what dash our resolutions into the snow or the sand depending on your geographic clime, weeks after we make them and throw us off our well intentioned paths. Sounds about right. Resolutions typically require changing your behavior – doing things differently on a steady basis. This means forming new habits. Did you know it takes at least 3 to 4 weeks to form a new habit? And, it’s not a straight road to success, you’ll stumble on your way. Whether you get back up and continue toward your goal depends on you – your commitment, how important the goal is to you and how compelling your motivation is. So each resolution is deeply personal and each resolutioner has his or her very individual level of commitment and impediments. But here are two rules of thumb that apply across the board. 1) Don’t put excess pressure on yourself when forming a new habit to do it quickly or do it perfectly. These expectations will defeat you before you barely begin. 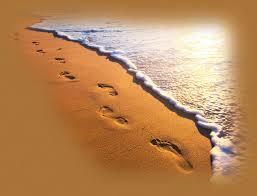 2) Appreciate any and every step you take in the right direction. If you see success as moving in the right direction rather than goal completion, you’ll gain new steam from your improvement alone. Psychologists also talk about a “change muscle.” Figuratively, it’s a place in your body that has captured a memory of you having successfully made a change before. Connecting with this place and drawing upon this memory and energy can help you; your remembrance of change and success can inspire you to move forward with more conviction when things get tough. Also, a support team is helpful when you’re trying to make a change. Whether it’s your spouse, a friend, neighbor or community resources, reach out, it’s easier if you’re not going it alone. Sometimes you just need a cheerleading squad, especially when your mind, as punishment for self-assessed failure, has placed you in front of your own personal firing squad. Even if you’ve given up your resolutions, nothing says you can’t start again right now. There’s no need to wait another 330 days. Try telling yourself you’re going to “practice” your change this year. It will take the pressure off and chances are it will actually become real when you’re not even looking.